Mrs. Elsie Urueta Pollock is the Founder and Executive Director of Tulsa Honor Academy. She began her education career as a 2008 Teach For America Corp Member in St. Louis where she taught sixth grade students with special needs. Two years later, Mrs. Urueta Pollock moved to Chicago to teach ninth and tenth grade ELA for the Noble Network of Charter Schools. 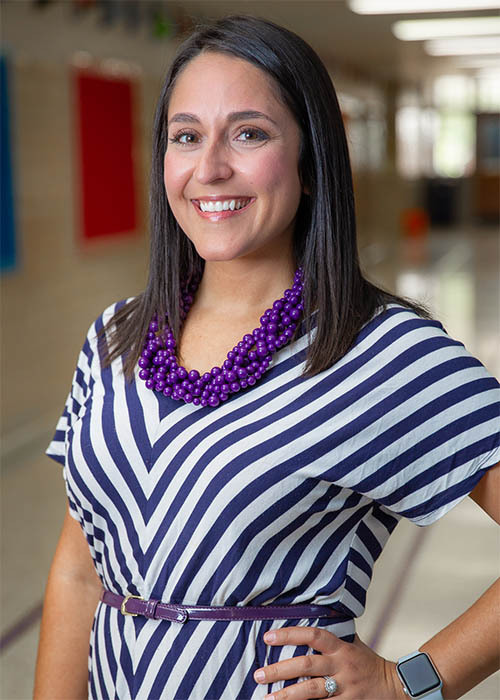 In 2012, Mrs. Urueta Pollock moved back home to Tulsa to continue her work with literacy as an eighth Grade ELA Teacher and the Literacy Specialist. In 2013, Mrs. Urueta Pollock was accepted into the prestigious Building Excellent Schools Fellowship and spent the 2013-2014 academic school year receiving rigorous professional development in preparation to found Tulsa Honor Academy. Originally from the El Paso/Ciudad Juarez area, Mrs. Urueta Pollock grew up in Tulsa, and has always called east Tulsa “home.” She is honored to serve her community and work alongside the best scholars, families, and educators. Mrs. Urueta Pollock graduated from The University of Oklahoma with a BA in International Business and Marketing.